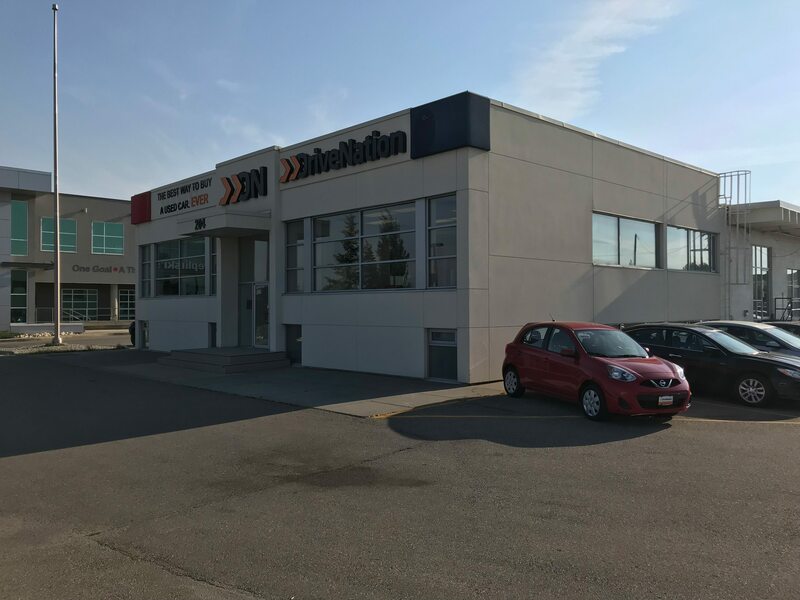 DriveNation is one of Canada’s fastest growing automotive dealership groups, and that trend continues with their latest used vehicle dealership opening in Calgary, Alberta. Originating in Saskatoon, Saskatchewan, the growth of DriveNation has come fast and furious. Solely focused on the used vehicle sales, this is a testament to the value and need they are filling in the market. Calgary Northeast is now their second location in the province of Alberta and eighth location in total. DriveNation was established in 2012 to fill an unmet need in the automotive market. Delivering a used car buying experience that puts customers at ease and provides access to credit in minutes, regardless of financial situation. With the biggest used vehicle sourcing network in Canada, backed by quality standards such as free history reports, 90 day/3,000-kilometer warranty and 7-day exchange, they are confident in supplying the best used vehicles on the market. It’s this reason DriveNation has become the go-to place for cars and credit in Saskatchewan in just a few short years and has since branched out to BC and now two locations in Alberta, bringing even more people closer to acquiring the vehicle of their dreams. Soft opening its doors on August 1st the Calgary Northeast dealership is located in a beautiful 14,000 sq. ft. facility that previously housed Ferrari Maserati of Alberta. Conveniently situated at 204 Meridian Road Northeast, the location features excellent exposure to Barlow Trail and easy access to Deerfoot Trail as well. Open Monday through Saturday, the store has ample visitor parking onsite, a large showroom entrance and will soon facilitate its own service area. Coupled with a strong online presence, DriveNation allows its customers to shop in comfort throughout the buying process, culminating in that visit to see the 60 plus vehicles on the lot. Both Irvine and Vogt believe there is currently a gap in the Calgary market for premium reconditioned used vehicles. DriveNation Calgary will be that place where all types of credit are accepted and everyone has access to a quality dealership experience. This is how DriveNation has put over 10,000 Canadians behind the wheel of their new car, truck, van or SUV already and has become Canada’s most trusted used car dealership. Since 2012, DriveNation has been building Canada’s largest used car dealership network. Headquartered in Saskatoon, Saskatchewan, DriveNation operates eight dealerships nationwide. Built around a strong core of amazing benefits, their goal is to get customers in the exact used car, truck, van or SUV that fits their needs, regardless of credit situation. Experts in used car loans, DriveNation has financed tens of thousands of people across the country. With flexible finance options, approvals in minutes and a selection of hundreds of vehicles to choose from, they deliver the easiest vehicle buying experience available today. Don’t settle for anything less than full transparency, great service and a vehicle you can count on. DriveNation. The Best Way to Buy a Used Car. Ever. DriveNation is a division of the FFUN Group, one of the country’s fastest growing and Canada’s Best Managed companies. To learn more about them, visit www.drivenation.ca.